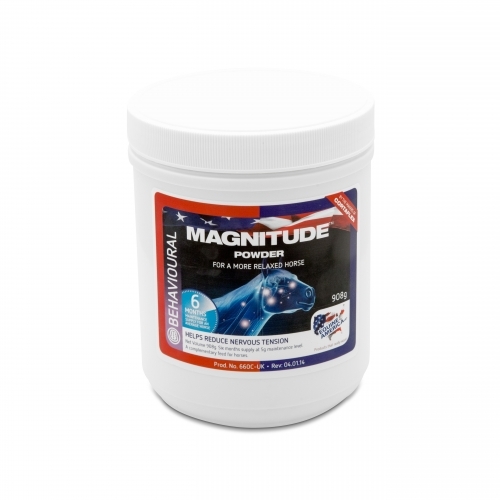 Equine America Magnitude Powder is a calmer that contains an easily absorbable form of Magnesium. Magnesium is essential for healthy nerve function. In horses who are lacking in magnesium, supplementing magnesium can help to reduce nervous tension. Equine America Magnitude excellent value for money & cost effective to use, as just one pot will last your horse for 6 months. Feeding Instructions Horse (500kg)- Feed 5g daily 900g will last 180 days.